You cannot delete shared pre-generated TPK files when deleting a map—they must be deleted manually in Windows File Explorer. 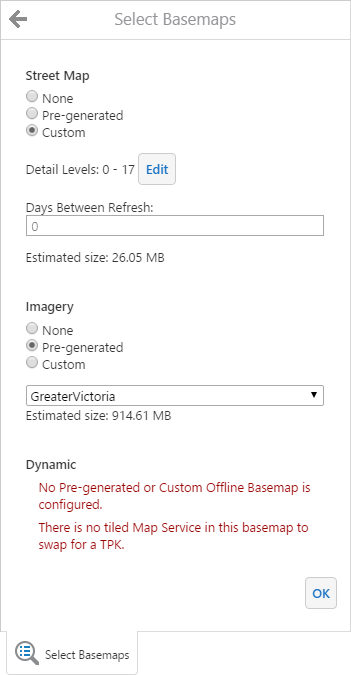 Normally, the TPK files of any pre-generated offline basemaps are automatically downloaded to the device when the user syncs an offline map that includes them. If a TPK file is very large and you do not want to download it this way, you can manually copy the TPK file to the device instead. For example, you could copy the TPK file to a thumb drive, and give the thumb drive to the end user to copy the file to their tablet. If you have customized the App's data storage location, you should move any TPK files to the customized location. Copy the TPK file to the App data storage location on the device. Replace MyUserName with your Windows user name. 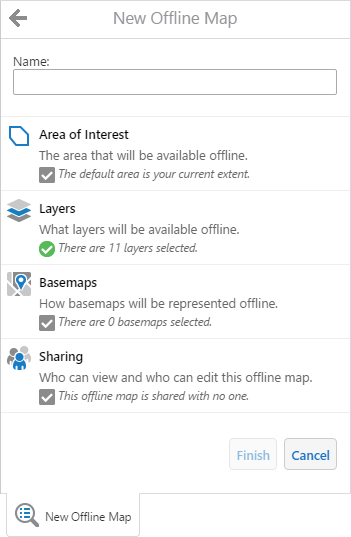 If you customized the data storage location, move the files to the custom location. If you unzipped the download package to customize it, re-zip the files. Put the ZIP file on a file share or web server that your end users have access to.